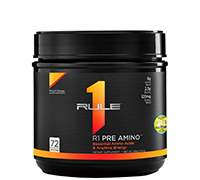 Mix one (1) scoop of R1 Pre Amino™ with 6-8oz. of cold water or your favorite beverage. 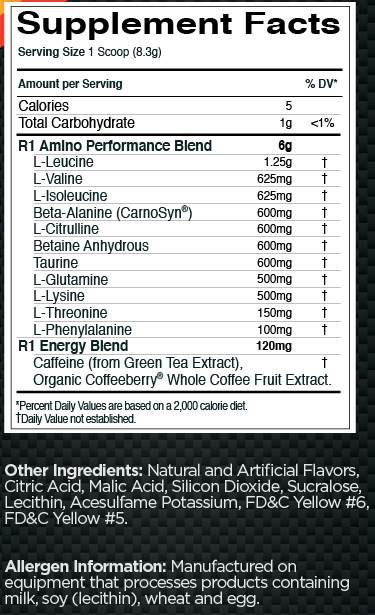 Approximately 100mg per one (1) scoop.